BirdRock Home Oval Handle Pull is the perfect cabinet hardware providing a sleek and modern touch to any drawer, cabinet, cupboard or furniture with its brushed nickel design. 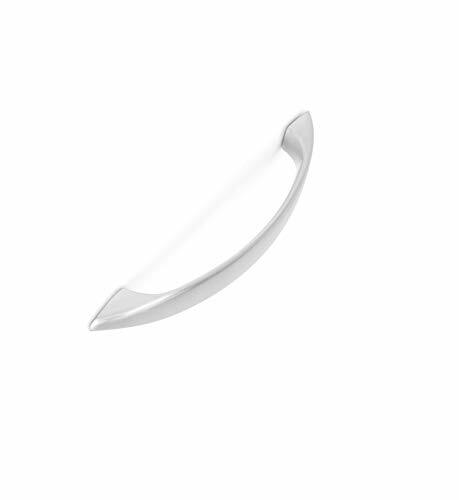 The oval handle has a solid, durable construction providing long-lasting hardware with an elegant, classy look. Each pack includes installation screws making it easier to install upon arrival. Refresh and update your home with BirdRock Home Oval Handle Pull. DIMENSIONS: 4.5" Width x 1" Depth x .5" Height; Center to Center: 3.75"